The movie adaptation of Angie Thomas' New York Bestseller, The Hate U Give, received it's European premiere at the BFI London Film Festival. The film tells the story of Starr Carter (Amandla Stenberg), a teen who is constantly switching between two worlds – the poor, mostly black neighborhood where she lives and the wealthy, mostly white prep school that she attends. The uneasy balance between these worlds is soon shattered when she witnesses the fatal shooting of her childhood best friend at the hands of a police officer. Facing pressure from all sides of the community, Starr must find her voice and decide to stand up for what's right. 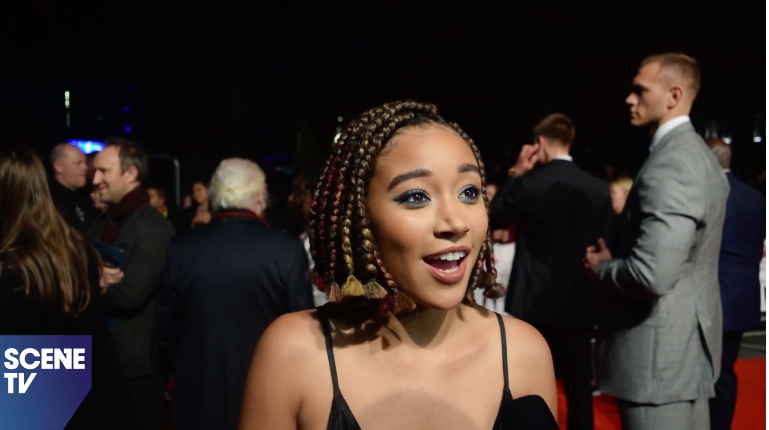 We caught up with Amandla Stenberg to find out what she hopes audiences will take from the film and what it means to be a true ally. We also spoke to Angie Thomas about her story going from paper to film, the myth of the 'absent black father' and why we all have a responsibility when it comes to societal change. Have a watch below and also peep the trailer if you haven't seen it already. The Hate U Give is in cinemas now.